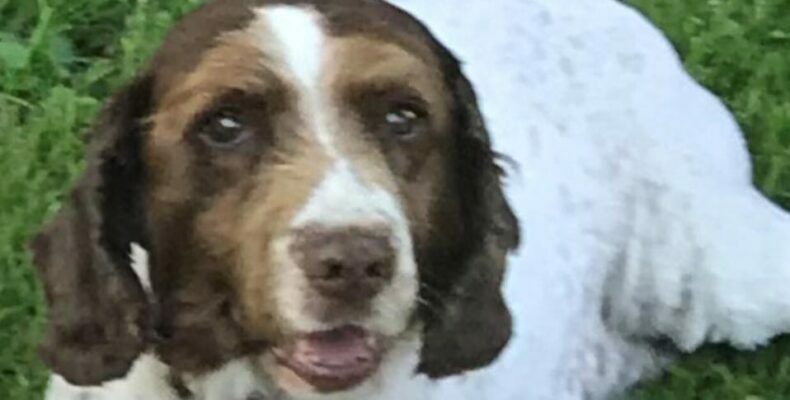 MISSING SPRINGER SPANIEL “SASHA” FIDDOWN/TURKSTOWN AREA: Our gorgeous Springer Spaniel Sasha has gone missing since last Sunday (July 29th) from the Fiddown/Turkstown area in Co. Kilkenny after hearing shots. She’s 15 years old and would be very upset and disorientated away from home for even the shortest length of time so we’re desperate to find her as quickly as possible. If you think you’ve seen her anywhere within the surrounding areas of Piltown, Templeorum, Kilmacow or Mooncoin – please share. Any information please message or phone Kilkenny SPCA @ 056-7771635. Ref:270877.